Brandon Adams, 21, died suddenly. 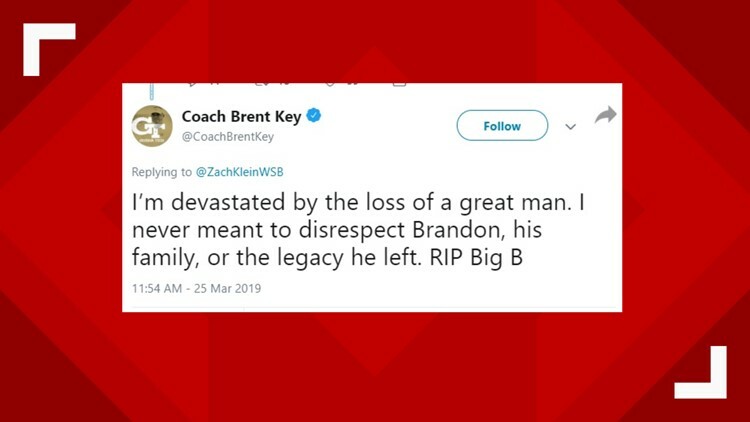 ATLANTA — Georgia Tech offensive line/associate head coach Brent Key received backlash on social media Monday, stemming from an apparent insensitive Tweet regarding the death of defensive lineman Brandon Adams. Twenty-one-year-old Adams allegedly died of natural causes on Saturday, according to Georgia Tech officials. Key tweeted, "GT has always, and will continue to attract GREAT MEN. Today we lost a GREAT MAN, and gained another GREAT MAN! Even in dark days their future is bright." Reading between the lines, the first "GREAT MAN" reference honored Adams, a Tennessee native. The controversy spawns from the second "GREAT MAN" reference. Without fully knowing Key's rationale, it might have involved Georgia Tech securing the verbal commitment of Miles Brooks, a 4-star cornerback from Jacksonville, Fla. (Class of 2020). Brooks committed to Georgia Tech head coach Geoff Collins on Sunday. One person asked Key on Twitter if he was talking about a recruit his program on the same day Adams died. He replied saying he never meant to disrespect Adams. "I’m devastated by the loss of a great man," the tweet said. " I never meant to disrespect Brandon, his family, or the legacy he left. RIP Big B". 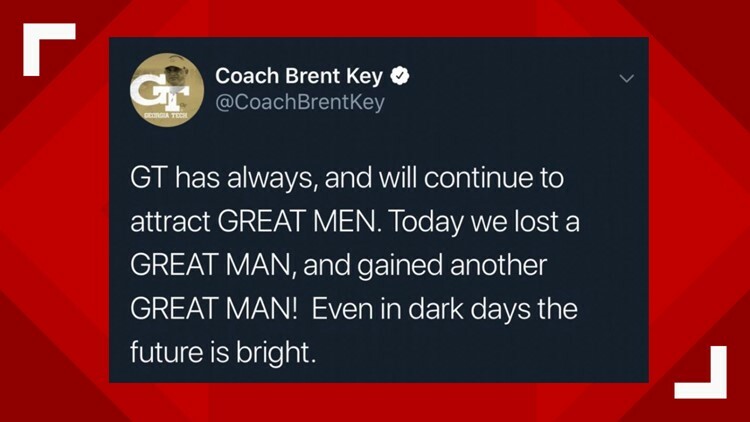 NOTE: BlackSportsOnline.com was the first news site to report on Key's deleted tweet.